We are having a HUGE Yard Sale Saturday! We are doing our best to whittle away at the “things” in our lives and the new indebtedness as well (insurance is good–but deductibles are the pits). After my first mission trip to Honduras in 2009 I came home and wanted to get rid of everything we owned–sell it all, move to a foreign country and help the people. Of course, after a little while of being back home, I settled back into the life routine of shopping, eating, and living in our little Florida town. But then another mission trip–this one further away and to a war torn country: Cambodia. The deal was sealed in my heart. I just didn’t know where God would send us–but it was in those early years of 2009-2010, I actually began praying and giving Him full access to every corner of my heart and house. What to keep, Lord? What to give? What to sell? The first instructions–get out of debt. (If you are reading this today–this is good advice for just living here!) I began to “not want” things, and long for the Holy Spirit to so infill and empower me that nothing else could hold a candle to what I desired from God. And I soaked. In the word. Through listening to the Bible being read while I drove, to worship songs, to teaching and just enjoying everything He offered daily. So, once these treatments are BEHIND us–we shall continue the packing UP! Several years ago, I wrote a blog post on my old blog (The Knightly News), “Hard Words”, and I thought not of the blog itself, but of the words that are hard to hear. Most people have experienced a time in their lives when they heard things that were hard to hear–I’ve had my share just like the next person. When my doctor told me on August 2 that she didn’t have good news for me–I suspected the next words would be “hard” to hear. I was right. Cancer. The word itself is ugly and suggests pain will follow. Yesterday as my husband, Jeff and I were driving to Mayo, Florida to share our heart and passion for Bolivia and our calling there, God reminded me that the words I had heard, breast cancer, were not the hardest words to hear. Neither is any other kind of cancer. WAIT a second before you get aggravated with me–I know you just said to yourself and possibly the computer screen, “she does not know what she’s talking about”. No, you’re right. I don’t know your circumstance. But I do know–beyond doubt that you- nor I have ever heard the hardest words to hear. Depart from Me, I never knew you…. “depart from Me”...that’s an eternal shift in your destination. That’s the hardest words ever….That’s permanent. It wasn’t what you thought. YOU imagined that everything was okay. YOU fixed it in your mind that all was well…when actually, nothing could be further from the truth. After my 2nd mammogram of the year came back with good news that “whatever” it was (cyst we thought) was shrinking–and the radiologist felt confident there was no need for a biopsy or further tests–I gave a sigh of relief. God was working on my behalf and taking care of this and I need not fear. Then in just a tiny little-old week it seemed a small knot, or area of discomfort was aggravating me at times–admittedly, I tossed it off as just bruising from the mammogram. And it seemed to come and go in being tender and sometimes painful–but as weeks turned into months, it grew and so did the aggravation. Many mornings I would put my hand on it and pray and ask the LORD to take care of it. I felt completely confident that He would. I was not afraid. I chalked it up to a cyst and knew I had another appointment coming up and it would be cleared by then. Then the week before that appointment came, as I was praying on the back porch during my quiet time, I was assaulted by the enemy. He threw everything at me. Every fear imaginable. The biggest fear was that I would leave this world without accomplishing what God had assigned me. God quickly reminded me “fear not”. He didn’t create the fear–and He was not a giver of fear. He was ready to give me peace, life and love–all I had to do was open my hands and heart, release the fear and take hold of the faith. I did just that. Peace flooded and remained-even on the day I sat in front of my doctor as she gave me the news. Peace. It was surreal–how I could have peace in the midst of such news. I did weep– but I held the tears in check as I left the office and waited until I had gotten in my car and was headed out of the parking lot. I didn’t cry a lot then– God was truly holding me up! I didn’t want to cry– I wanted to hear from God. I wanted Him to assure me that this was all a part of HIS plan…and that’s exactly what I got. Not all at one time of course, but over the next few days–God let me know through HIS WORD–this was already covered. Believe me–I’ve cried some since then–there was the scary things in the hospital that I’ve already told you about, there was the emotional feelings when the bandages were removed…there was the fear and feeling of weakness, insecurities of all kinds, but then, on top of all of that, there has been love. Tons of it. From friends, family and most of all, from my Abba Father. God has simply amazed me. Some people think (as I have been guilty of) that tears are a sign of weakness. No. Cry. If you are afraid, cry. If you are hurting, cry. Tears relieve stress. I never was a big crier–and actually find it difficult to tolerate a cry-baby attitude in an adult, but I have learned my tears do have a purpose. Crying during praise and worship is healing… Crying in prayer…healing. Unfortunately (or maybe not), I do tend to hold the lid on tighter than most so that when they do come–it’s a gusher. But through this journey–I have given myself leniency to cry. Whenever I feel it coming on–I let it happen. Remember that old song, “Tears Are A Language God Understands”… true. When the hard words come–tears often join. Almost always. About a week ago, I encountered something that brought the tears hot and fast. My emotions sank to the bottom of the ocean. I didn’t understand–but God did. He sees all, knows all and is always able no matter the cause or reason. I’ve needed Him as never before–and HE has proven He’s able and available. Tomorrow I will visit the chemo plant and radiation store. (Not really a plant and not really a store) I will get set up for the next leg of this journey and I’m expecting those days to flow with the presence of God as I’ve yet to see….I’m looking for Him to be there–every step. As our youngest daughter reminded me–the enemy meant for this to be a road block, but it’s just a speed bump–God has everything under control. Bolivia is still in sight. It will take more than cancer to remove the call on our lives. So, what about you friend? Have the hard words in your life completely stopped your progress? Are you faltering, flailing about in confusion? Those hard words aren’t the end for YOU. They could be the beginning of what He has NEXT… Maybe a new assignment… A new purpose… Either way, let those be your reminder that you are still living and breathing and able to keep your hand safely tucked into the hand of Jesus. Invite Him to take charge of your life if you’ve been doing it solo. There is nothing you will encounter in this life that He cannot handle…and He will strengthen YOU in your weakness….He has done that for me. Don’t wait around for the “depart from Me” words…Cry out to Him today. Now would be good. Heavenly Father, You are ever mindful of each one of us…of our circumstances and those arround us. You know our thoughts before they become words from our mouth. You know our hearts–every tiny detail of our lives is not hidden from You. Even in our worst condition You love us–so much that You sent Your only Son, Jesus for our sins. To pay our ransom. To give us life. Thank You Father for all You’ve done for me. I pray for the reader today–that You would flood them with an urgency to know You and submit their life to You today. Grant them the peace that only comes from You-right now. No matter their situation, sickness, disease or cirmcumstance…show UP for them right now. In the holy name of Your Son Jesus I pray, and believe–Amen. © Angie Knight 2016. All rights reserved. Photography © Angie Knight 2016. All rights reserved. From the time the first words were spoken– I was on the lookout. I’ve been given bad news before–and truthfully, I think my mind was sort of in shock with this. Cancer. This was not what I was looking for–and not part of our plan. I totally was not expecting what my doctor just said…but I was on the lookout for what God was about to do. God had been preparing me–even a year ago. No, I didn’t feel the lump a year ago, but I felt and heard from my heavenly Father. We had been praying and seeking God about the mission field….we were still waiting on an answer. Tears come quick to my eyes as I re-read the words that the Holy Spirit spoke to me over the course of about a week in the month of August, 2015 (that’s why I always encourage people, KEEP A PRAYER JOURNAL!). I shake my head right now, in disbelief, NOT in what He’s doing–but in the incredibility of how He does things…it AMAZES me. Maybe one day He will release me to tell you the full story of what He was doing–for now, I continue to keep track of His steps, trace His fingerprint in our lives and praise Him all along this mission journey. Let me update you quick in case you are wondering about my health and progress. Diagnosed with breast cancer on August 2, 2016. Cancer was removed August 5, 2016 by way of lumpectomy and partial mastectomy. Pathology report a week later revealed–the mass was self-contained, the margins CLEAN and lymph nodes CLEAR. I will have 5 days of radiation and then pack for Bolivia! (Kidding on the last part, I have been slowly getting ready for a MASSIVE yard sale in September THEN we will be looking at getting some trunks and packing. 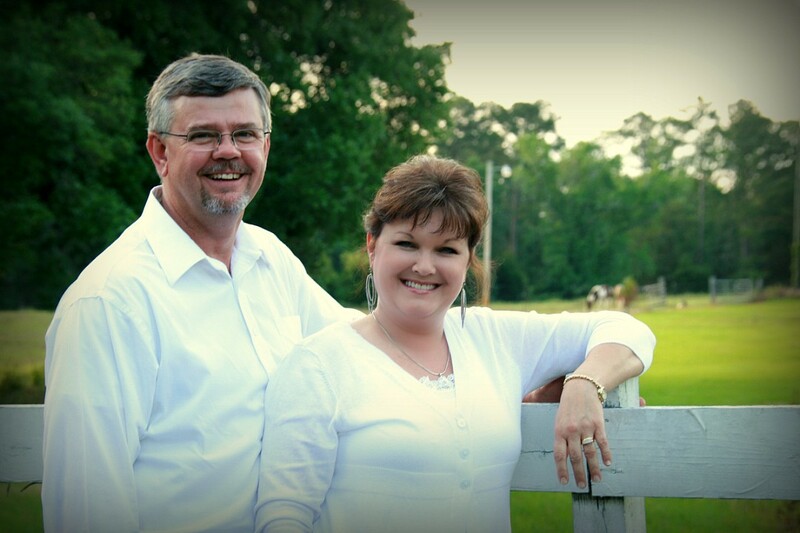 We have been blessed with amazing family and friends who have encouraged us, fed us, and liberally prayed for us. Thank you. For every cookie crumb and slice of ham! We need to be on a diet today! Can I ask you something? Do you trust Him? This is one of the passages I have continually been led to over and over while on this journey–not the cancer journey, the mission journey. He is our help and our shield. Because we have trusted in His holy name. Jeff and I don’t have all the answers, but if you are believing God for something bigger than you can even put down on paper, or even whisper in the dark, can I lean towards you this afternoon and tell you, He’s trustworthy…. No matter what happens tomorrow, or next week, next month or even next year, my soul rejoices in God alone. He is my hope-my salvation comes from God and the gift of eternal life through His only Son, Jesus Christ. And I, for one, am on the look-out for the next miraculous thing He has up His sleeve…. © Angie Knight 2016. All rights reserved. Photography © Angie Knight 2016. All rights reserved. First thank you for praying SO faithfully for my surgery. If you follow my blog, you know by now that I had a life changing diagnosis of breast cancer (ductal invasive carcinoma) on Tuesday, August 2, 2016. God has been right beside me every step of the way. Surgery was the 5th to remove the mass and biopsy lymph nodes. They said at the time of surgery, it was self-contained. GREAT NEWS! They wound up doing a lumpectomy along with a partial mastectomy. Yeah–I cried too. If you see me out and about, I would love a gentle hug! I’ve had so many praying –I believe God has GREAT things ahead as we continue forward! The good thing in all of this is that it was caught early–and as I am one to put things off to the LAST MINUTE, God gifted me with a lot of pain in the mass. This is not normal I am told. I was told by several in the medical field that growing cancers are usually not found due to pain. But mine hurt like crazy–almost continually. It was a gift. It kept me from putting it off any longer. Bookmark the page so that you can keep up with what GOD is doing! And remember to pray for us as we continue to prepare for our mission field in Bolivia! © Angie Knight- The Knightly News. All rights reserved. Photographs unless otherwise noted are property of Angie Knight. All rights reserved. Good morning! It is raining again in the sunshine state–but that’s okay. I know some areas have had their fill–but it’s been so dry here at the house, everything was getting crunchy. First-let me share the awesomeness of our God! I got my drain tube out yesterday! HALLELUJAH! You probably heard me shout from Dothan – (naw- I didn’t do that) – but I was so relieved- I just KNEW I would go back to sleeping like normal! But that didn’t happen. Still propped up and only sleeping bits and pieces every night–but hey– it’s a good time to read the Bible on my phone, or talk to the AUTHOR….of course, if you are a pinterest follower, you will see that I do a bit of pintresting –you know, for when I am 100% and getting ready to move to Bolivia! The ARNP that saw us was amazed at the progress– she would ask me questions– then look at Jeff as if to confirm I was telling the truth! HA! Imagine that. She unbandaged, complemented my nurse/daughter, April on the good job she did- and examined the incisions. The one for the tube was the most painful, but I guessed that was normal….but then I don’t think it was. She asked me about my meds, pain levels, and she did a double take when I told her I had stopped taking the pain meds a few days prior. WHAT? She didn’t say it LOUD like that implies, but she stopped writing and turned around and looked at me. Every question she asked, I could tell she didn’t believe my answer…she kept saying, “are you telling me the truth?” HA! Of course I am! I repeatedly told her– “THIS WAS ALL GOD!” and that I had had LOTS of prayers going up! To break that down, I took only 2 days of pain meds. I am not bragging on me–I AM BRAGGING ON GOD! When YOU prayed for me–didn’t YOU EXPECT RESULTS?? Well friends, YOU GOT RESULTS!! The pathology report is not in yet, but honestly I expect to hear GOOD things. They said initially I would have 5 days of radiation–I don’t expect it to be any more than that. She even reiterated what the surgeon had said in the beginning, “you should have no trouble meeting your deadline to leave for the mission field”. Before you think I’m all that and a bag of chips—stop right there. I voiced my concerns (worries) to Jeff that morning– I was afraid I would pass out when they took out the drain. I could feel it in me and I am not a nurse–nor do I like anything to do with medical stuff. he assured me I’d be fine–and I know that as he went about his day–he prayed. I didn’t pass out. I deal with the same worries -(probably) anyone else does, I just follow a rule–I hand it over to Jesus. I learned that a LONG time ago. I don’t do a Scarlett O’Hara, you remember the statement, “I’ll worry about that tomorrow”…. I hand it off to the Team Leader to handle. HE CAN. Elaine Olsen’s book has been such a powerful instrument in keeping my mind geared right. Letting God use this to do things in my life that I need. If He allowed it, He is going to USE IT. Can you keep that in mind the next catastrophe that strikes your heart/home/life/family? If He allowed it…He will work it for YOUR good…and for HIS GLORY… If you keep your faith and trust in HIM. I will not kid you and tell you it will be easy. Likely, it won’t. It will be a hard lesson to learn, a high mountain to climb, or deep water to wade….BUT, He will take us through it! “This is what the LORD says: Cursed is the man who trusts in mankind, who makes human flesh his strength and turns his heart from the LORD. He will be like a juniper in the Arabah; he cannot see when good comes but dwells in the parched places in the wilderness, in a salt land where no one lives. God has opened my eyes and heart in a way that I might otherwise have missed. I could break that passage down and share with you what it does in my heart–but I won’t for blog lengths sake. God has brought us to this place–and I can guarantee you–HE will see us through it! We have ministry to do. Friends….GOD IS FAITHFUL. If you don’t know Him, or don’t have the relationship you wish you had, it’s easy to change right now. Simply tell Him you want Him in your life. That you recognize your NEED for a Savior and that you believe that His only Son, Jesus Christ was sent to this world -as a ransom to pay for our sins. Jesus is ready right now to accept you as His beloved. He wants to come in and have a relationship with you– He wants to restore your joy! Talk to Him as if He were right there….HE IS. Father, right now I come to you on behalf of this reader. I have no clue who they are or where they are right now, but YOU do. You know every intimate detail of our lives and the longings we have inside for more of You. LORD, I ask that you would draw Dear Reader close to You, speak into their hearts/minds and let them know that You have a purpose and plan for their lives… Receive glory LORD for everything in our lives– help us live in such a way that YOU are seen, and not us. Bless them today and allow them to see something special–from Your heart to theirs….in Jesus’ most holy name I pray, Amen. Interested in missions? In helping? 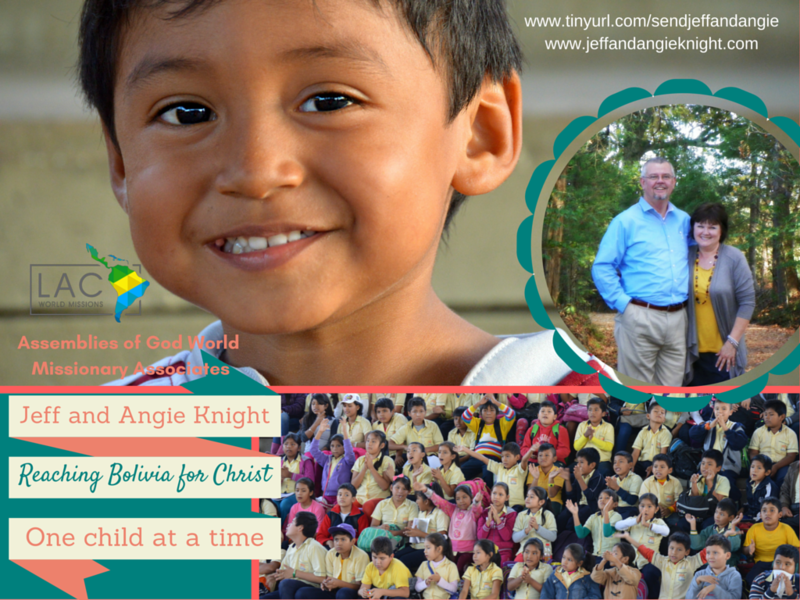 Go here: www.tinyurl.com/sendjeffandangie, then simply scroll down to find the “commitment” or “give now”. Thank you in advance if God so leads you. No worries if you don’t feel so led or inclined. He has a plan. And He’s working it. Friday morning seemed to take f-o-r-e-v-e-r to get here. Really. It was not that anticipatory excitement of Christmas presents “forever”…more of the wisdom teeth cut out “forever”. Except, not exactly wisdom teeth. For a couple of days, I had texted with two dear friends, one who is currently undergoing radiation for the same type of breast cancer, and one who had walked this road and found peace in the storm a few years ago. It’s her book, Beyond the Scars, and her words that have encouraged me to keep talking. I suppose–I would talk either way. One way would be in my filled up prayer journal- only a few pages left–or the other way would be here–out in the wide open spaces of the world wide web. I can’t let things harbor, sit and fester–I have to let things go. The initial check in began quicker than I thought- it was later that the waiting nearly drove me nuts. Our daughters, Tiffany and April had spent the night with us the night before–neither one slept. They were nervous–anxious. I had been covered by the peace of God that truly passes all understanding. I had more than a handful of prayer warriors in their war rooms on my behalf. I actually slept pretty good. I laid down–God wrapped me up–and I drifted off–waking only at the usual times during the night when someone my age wakes up. Once we were taken to a room, I was handed a precious looking gown to wear for the duration of my visit. If you know me at all–you know I’m kidding. I was still calm. Fairly. The nurse came by and welcomed me–told me what was going to be happening–that someone would come get me and take me somewhere and leave me and then someone else would pick me up and take me somewhere else and leave me then someone else would come pick me up and….. No. They forgot that part. I’m not upset–I just thought it might have been nice to mention the times I would spend alone in a hall and empty waiting area. That actually sounded like a dream didn’t it? Before we arrived at this day, a friend sent me a facebook message. Shortened down, it said this: You are My daughter–I will be with you. It did say a few more things–but the point I needed to know…He was my heavenly Father–and HE wasn’t going anywhere. At anytime. A dear pastor/friend send me a text message: “I’m praying for you. Isaiah 43:1-2”. Do you see what God did there–in both cases? Told me the same thing…I was HIS…and He’s not leaving my side. When the first nurse wheeled me out to another floor-in another area to have a wire inserted (yes, gasp!) in the mass, and an ultrasound, and then radioactive dye shot IN (yes, please gasp again! ), she was very kind and when she told me in advance, “this will hurt -but he will be as quick as possible”, I thought at least she gave me warning– I clinched my eyes shut, but then she said, “you can hold my hand if you want to”….uhm, YES please–hold my hand. I grasped her right hand and thought of His Words that He would never leave me nor forsake me…. With my family in another part of the hospital, I was longing for my husband’s hand to hold. His hand had always brought me security–and peace–and I had relied on His strength for 34 years. But God was reminding me of something I knew, but perhaps had packed it up already for the mission field…It has always been God’s hands that has held us BOTH in all our times of struggles in life. No matter what the struggles have been –it’s been HIM. Once the doctor and nurse had finished wiring me up, making me a little radioactive, I was wheeled off to another area of the hospital and left outside in an empty waiting area–in a dimly lit hallway. I suppose it was to make it more private and intimate feeling–I do think it did help. At least I didn’t feel quite so exposed out there alone…but I did feel alone…but just briefly. It was in that brief minute of feeling alone–that I felt God wrap me up. Tears rolled from my eyes as Fear tried his best to come in the room, but God in all His power and glory showed him the door. The next nurse came out and got me, ushered me gently in and did a new mammogram for the surgeon. Once she finished up, she took me back to my room–where apparently a party was going on while my brother-in-law was telling the family some funny story. With the larger portion of the family in the waiting room it was just my girls and darling man– April helped me in the bathroom and I collapsed on her in tears. I think the reserve from the past months of wondering had just exploded. I don’t know what happened–or how. Her skills as a nurse had not stopped kicking in–she is one amazing nurse. If you ever need a nursing home–you would be wise to move to Florida and find the one she works at–for real. As I sat down, a memory from when she was a little bitty girl, dressed in ruffles, bows and lace came racing back to my mind. A church bathroom–she needed to potty. I held her dress and the bow in back so that it wouldn’t fall, handed her tissue- and helped her grow up to become the woman she is today. I remember all the bathroom trips at church and anywhere else where she learned how to do things on her on–but until she was ready…mom was right there. I did that for both my baby girls. When that image of her in blonde curls and ruffly dress appeared in my movie-mind–I cried all the harder. Time had reversed and here she was in a tiny bathroom stall with her over 50 year old mama, holding the hospital gown and handing me tissue. God is so good. I cannot tell you that enough. I don’t like to cry. I will hold it in as long as possible. Elaine Olsen told me to cry. Let it out. It needs release, it is cleansing. So, since coming home, I’ve done that a couple of times, both after dressing changes. Lest you think I’m super-woman, let me assure you–ask Jeff or April–or Tiffany. They will tell you I’m not super woman. I cried uncontrollably during and after my first shower- Although the shower didn’t hurt –my heart ached in a place I had never experienced before. It’s very humbling to need someone to help you with your shower. It’s very healing too though. I see that this morning. Tiffany reminded me of the showers I helped her with –after all her babies. I never thought twice–she was my baby, thus I help my child. I am sure she, nor April never think twice. I am their mama. I think at some point we have to remember to let people help. But that is so hard at times. I think God deals with that side of us often. We are inept at dealing with some of our issues, and HE is standing at the ready–yet we don’t ask Him. Didn’t He tell us time and time again that He would “be there” for us? Never leaving us…. It’s in times like these when He really shows us the truth of His Word–it’s in times like this week, I lean back against Him and feel the Presence of a Holy, Sovereign God take over. I woke up in the wee morning hours on Monday and came to the living room to see and hear from God. I actually had a question that I wanted to ask–but when my feet hit the cool floor of the wood in the dark, something made me change my mind. I wasn’t going to ask any questions. Instead, I would just listen and see what He said. I don’t know if you have just looked at the screen in disbelief, as if the God of the universe would actually take time to say something–anything–to a nothing-of-a-woman like me, but He did. He does. Often. I am a bit taken aback at this — THIS? Cancer? This disfigurement in the mirror? Everything. I’ve been preparing you. If you say, “I can’t SEE HIM”, you aren’t looking close enough. I promise He’s there. ASK Him to show up–He will. Ask Him to speak….HE will. Often we aren’t quiet enough or still enough. We want to do our own thing and we want God to work AROUND our agenda. Hmmm…. I hope you know by now He doesn’t do that? When I sat in the wheelchair alone in the hall…HE was there. I might would have rathered He show up with me on a picnic–and hike–but this empty dimly lit hallway was where I was that morning–and I needed Him then. He showed up. I felt Him as the tears rolled–I felt Him push fear back and send in the Holy Spirit to bring peace and comfort. Friend–He will do the same thing for you. All you have to do is ask–expect–believe. Move on with God and don’t give Fear your forwarding address. If you do….I have to say, you must be a glutton for punishment. Where the Spirit of the LORD is…there is freedom and PEACE–and Fear cannot be in the same room where God is…. Tomorrow-the tube comes OUT (PTL) and the next phase will be laid out. Thank you in advance for praying and believing with us–Bolivia is waiting. The people are waiting… and my eyes are focused on my healing and being able to complete the mission He assigned…with GREAT anticipation! © Angie Knight 2016. All rights reserved. Photographs © Angie Knight. All rights reserved.  Wow. That is a word I use a LOT. It lends itself to describe my feelings on a lot of things…from the good to the bad…even to the ugly. It’s what I wanted to say when my doctor looked at me in a sort of nervous way- and said the words “cancer” quickly, as if to get them out there in the open air–might relieve some of the stress she was feeling. Her first words, “Well, I don’t have good news for you” hung suspended and I wanted to hit the rewind button and back track and maybe even have a re-do of the past few days events. But that wasn’t happening. It was there. The test run- the mammogram and the ultrasound with the biopsy all told the facts of what was under the skin of me…but just so far. It couldn’t get to the heart of me… that’s for God to see. I sat on the back porch, ignored the obvious humidity and heat and drank my coffee at the beginning of last week and I felt a weariness and dread come over me–it knocked me backwards in my spirit. A few months before I had discovered what could be a life altering lump. I followed all the routine and advised things- and it went from “we see it”–to “it’s shrinking, must be a cyst”. But then things changed. And last week Fear sat on my porch–had the stinking audacity to do so with my Bible right in my lap! And Fear whispered all the nasty stuff in my head….All the what-ifs played out in my mind. What if you have cancer? What if you can’t get to the mission field? What if this is it? I cried. Admittedly that was a bad day–an emotional day. A break-down day. A day when I didn’t want to see anyone… but I had my Bible in my lap and it was open to the Psalms… I had been doing a lot of journaling from the Psalms…and praying. Then I reminded myself (do you ever have to remind yourself of things? ), I reminded myself WHOSE I was. What HE had told me–and that HE had set our course–it was not something I designed and picked out…it was ALL Him, baby! And if He went to the trouble to set so many things up– HE had a plan to use this. My baby girl and my sister both said they had asked God to give it to them. I reminded them, God doesn’t “give” cancer. God gives good gifts. BUT, God will take the things that happen in our lives and work them for our good–or someone else’s. It may not be about us…granted it may be happening to us or in our lives, but it may not be about us. He will strengthen us–and help us–but it may be for someone else all together. I know you want to say, “do you mean God will allow someone to go through something tragic just for someone else?” Remember Jesus? Don’t think for one second that I have it all figured out and that I’m totally good with it all. I’m not. I don’t have it figured out and honestly, I am afraid of what Friday will be like, and the disfigurement that comes with breast cancer….and the pain. No, I’m not good with it–but I’m good with my Father–and I know HE has me in His hand and I’ve never left His sight…nor will I. God has given me His Holy Spirit in advance…so that in times like these….His Presence never leaves me…ever. I cling to this–HIS Word is true and He is faithful-throughout all generations. His faithfulness didn’t end when my God-fearing, Bible reading- church going grandparents passed away. His mercy is brand new every morning–and He is faithful to see and care for His children…of which I am one of. I don’t have all the answers. Honestly, I couldn’t sleep. And I had been rolling it around in my head for 48 hours–how I would even say this. But it’s said now. If you are a mission supporter for us–Jeff and I want you to believe with us that we WILL be on the field at the time God has already picked out and the time we’ve had on our hearts. We are still believing for our budget to be 100% by December of THIS year. Whoa! Did you just do a doubletake? I believe God can do anything. I believe this is a curve in the road and that up ahead is a victory none like we’ve ever experienced. We kindly ask that the mission supporters keep supporting… be a part of what God is going to do through your hands and our lives–in Bolivia! Don’t stop just because we can’t see what’s next…HE CAN! You do know that the enemy will pull all sorts of stunts to keep the Gospel from getting out there… and he’ll stop at nothing–so that means we’ve got to be more determined than ever before. We must be ever diligent about fully giving ourselves to Him–even if we have to do it every-single-day. All over again. At every obstacle…and around every curve in the road. © Angie Knight 2016. All rights reserved. Used with permission from jeffandangieknight.com mission blog. © Angie Knight. All rights reserved.